Every Artist has a story...we tell them here. Sarah is a painter who's mixed media paintings are layered with found images, fragments of text from old books, and pieces of outdated maps. 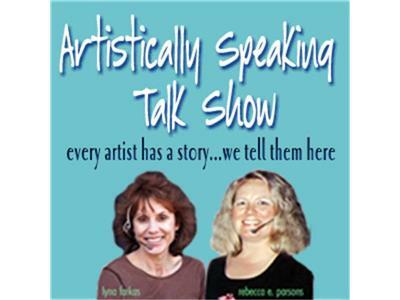 Join us as we discuss everyting about her creative life and lifestyle...we also look into the pages of her new book: Painted Pages: Fueling Creativity with Sketchbooks and Mixed Media.